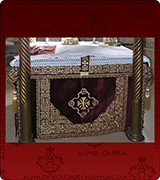 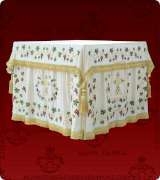 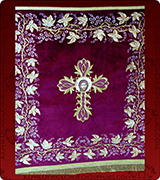 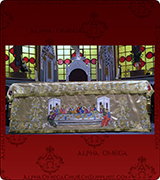 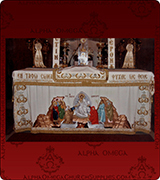 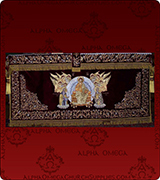 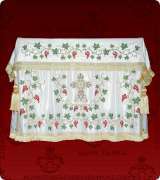 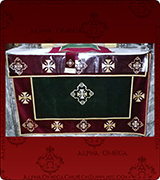 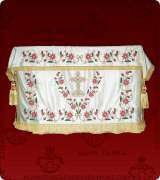 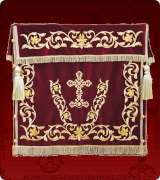 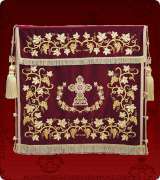 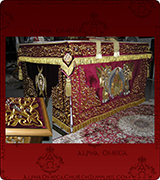 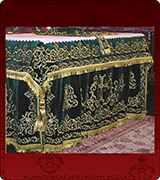 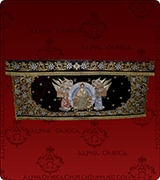 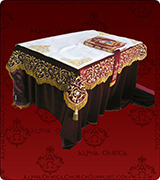 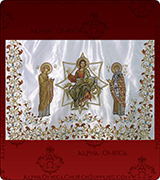 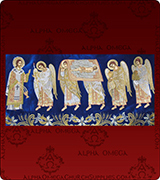 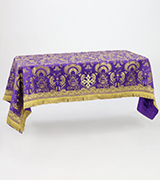 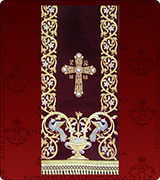 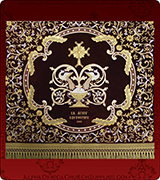 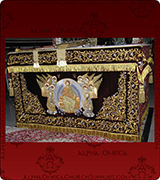 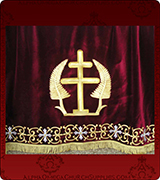 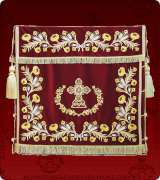 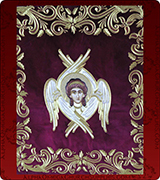 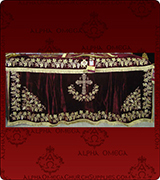 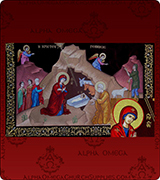 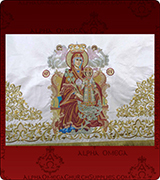 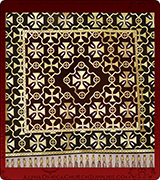 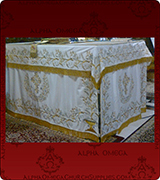 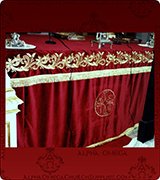 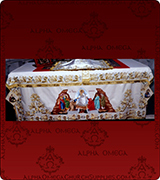 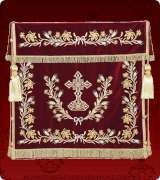 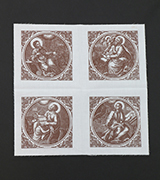 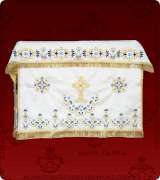 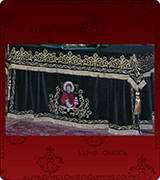 Off White metallic Embroidered Ceremonial Table Cover for hexagonal table. 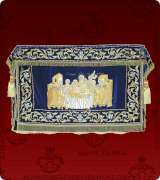 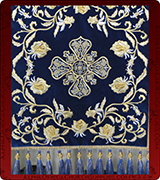 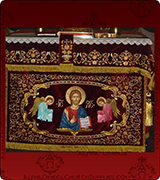 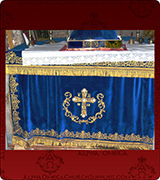 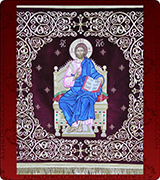 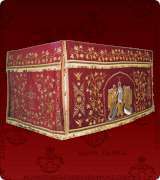 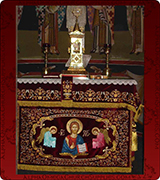 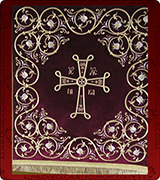 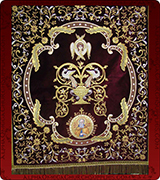 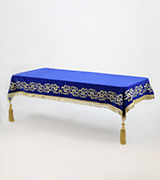 Blue velvet Altar Table Cover with decorative Gold floral embroidery. 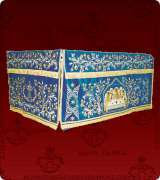 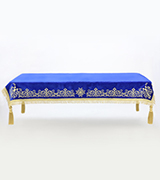 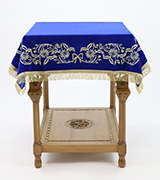 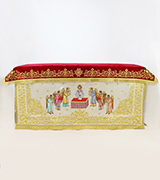 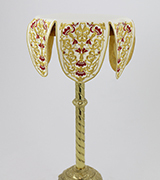 Blue velvet Altar Table Cover with intricate Gold embroidery.